In this final video of the first lecture, Page describes how we can use models to help us make decisions, strategize, and design. 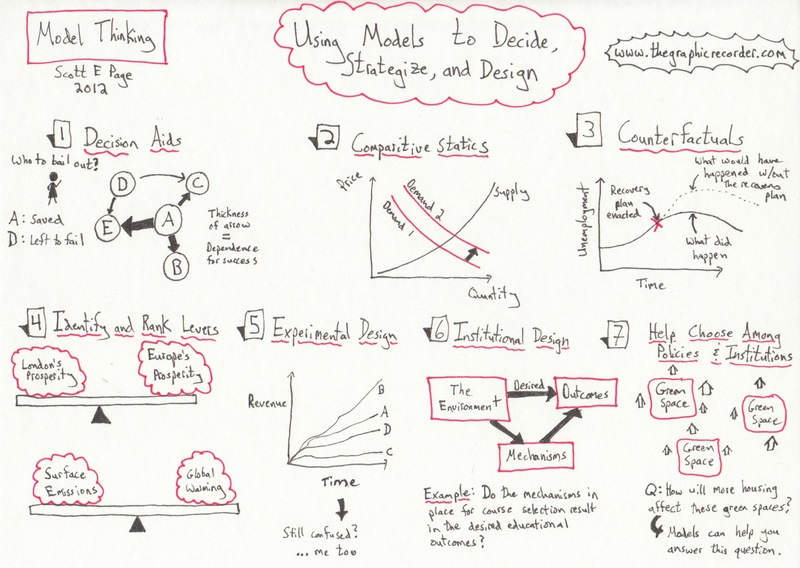 Though the seven reasons for using models shown in the sketch notes above were only touched on briefly (with some examples that were very helpful, and others that were less so), they nevertheless show the usefulness of models in a variety of situations. Now we are ready to move on to a more in depth view of some of these models!